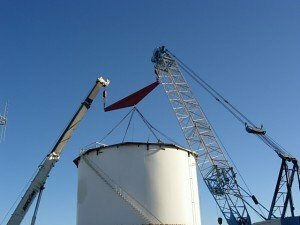 At MMI, we’ve handled some pretty difficult rigging projects, especially for plant relocations. It’s one thing to erect a piece of heavy equipment on site, it’s another to rig it whole, transport it and set it up in a new location. We’ve got the cranes, chains, straps trailers, and experience to make it happen, though. We can take care of your equipment fabrication and material transportation services; including oversized projects that require special hauling permits. Gears / Gear Boxes / Heavy Machinery and more. What can we rig and move for you? Click the links below to learn more.